Navigate to the Sweepstakes entry page, complete the entry form, including your full name, e-mail address, zip code, and the minor child(ren)’s first name and birth month and year who appear in your original photo, confirm that you are 18 years of age or older, and upload an original photo that shows you kissing your baby's tummy. The photo must include a child or children between the ages of six (6) to twenty-four (24) months and of whom you are either the custodial parent or legal guardian. The child must be appropriately clothed and must, at the least, be wearing a diaper. Other requirements apply. See Official Rules. 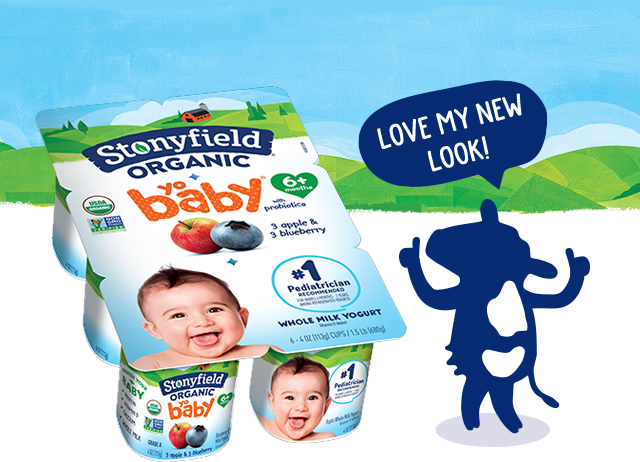 You can enter between 2/5/18 at 12:00 a.m. (EST) to 3/4/18 at 11:59 p.m. (EST) ("Sweepstakes Period") on the Sweepstakes website, tummylove.stonyfield.com, up to one time per week. The winner will be announced here on March 30, 2018.